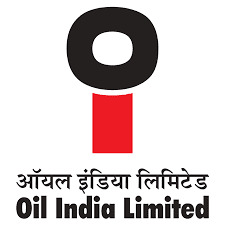 Oil India Limited (OIL) Recruitment 2018 | Junior Assistant & Attendant Post | 10th/12th Pass: Oil India Limited (OIL) has recently published notification for posts of Junior Assistant & Attendant Vacancies. Apply offline before or on 07th April 2018. More information please read below mentioned official notification carefully. No of Vacancies :- 06 Vacancies. • Junior Assistant & Attendant posts. Job Location :- Kolkata (West Bengal). Educational Qualification :- 10th / 12th / Diploma Pass or it’s equivalent qualification from a recognized Board/University. Age Limit :- minimum 18 years and maximum 30 years as on 25.04.2018. For Age relaxation. Application Fee :- No application fees. Pay Scale :- Candidates can get salary Rs. 13,500 – 28,000 (For Post 1) & Rs. 9,300 – 17,000/- (For Post 2) Per Month. How To Apply :- All Apply in prescribed application form along with two copies of recent (03 cm x 03 cm colored photographs and self-attested photo copies of all relevant documents/ Certificates/ testimonial send to the given address on or before 25.04.2018. Address :- The Advertiser (Oil India Ltd.) 4, India Exchange Place, Kolkata – 700 001, West Bengal.